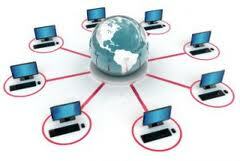 Indiana Telephone Network has specialized in Telephone Conferencing for over 15 years. If you are looking for that traditional conferencing system that allows your business and group to all communicate at the same time we have the product for you. Our conference trunks do not require advance reservations. This means you simply give the party you are wanting to connect with a PIN and a time, the PIN, and the toll free number and you are ready to go. If are not already enrolled in our conferencing product just simply send us an email from our Contact Us page and we will get you enrolled.